Betsy Baringer named "2018 Rotarian of the Year"
The "Athens Rotary Club Rotarian of the Year" is reserved for the club member who best exemplifies the fellowship and the ideals of Rotary as interpreted in the Rotary motto, "service above self". 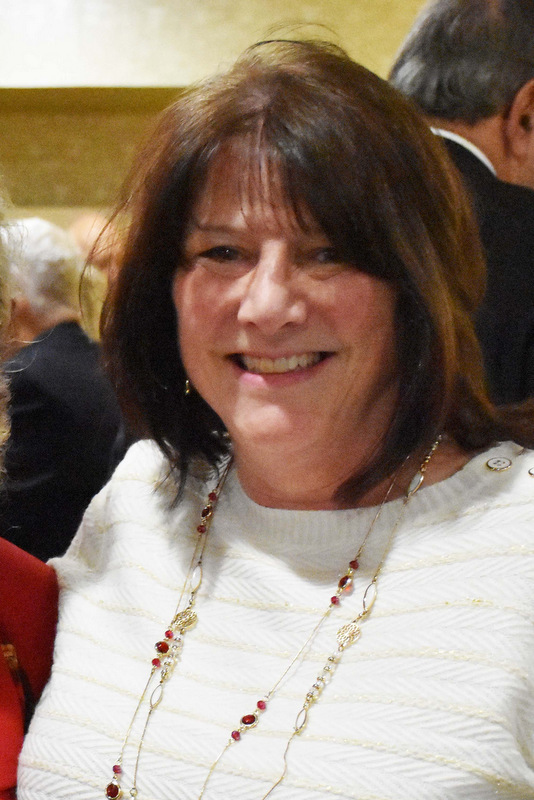 The 2018 Award was presented to Betsy Baringer at the Annual Holiday Party on Dec. 10, 2018. Several members nominated Betsy Baringer for her superb efforts spearheading the Thanksgiving Food Basket Project this year (as she has for the past several years!). Betsy was also heavily involved in the operations management of the Athens Rotary Club. She is responsible for making sure meals and tables are ready for each of our weekly meetings. She is always on hand to assist with technical issues, special foods for members and advising our guests. Betsy exemplifies the 4-way test of Rotary by showing great Character, building Goodwill, being Fair and Truthful and providing Benefit to all she serves. Thank You Betsy! The photo above is by Rotarian Don Fucci and information was provided by President Brandon Elliott.